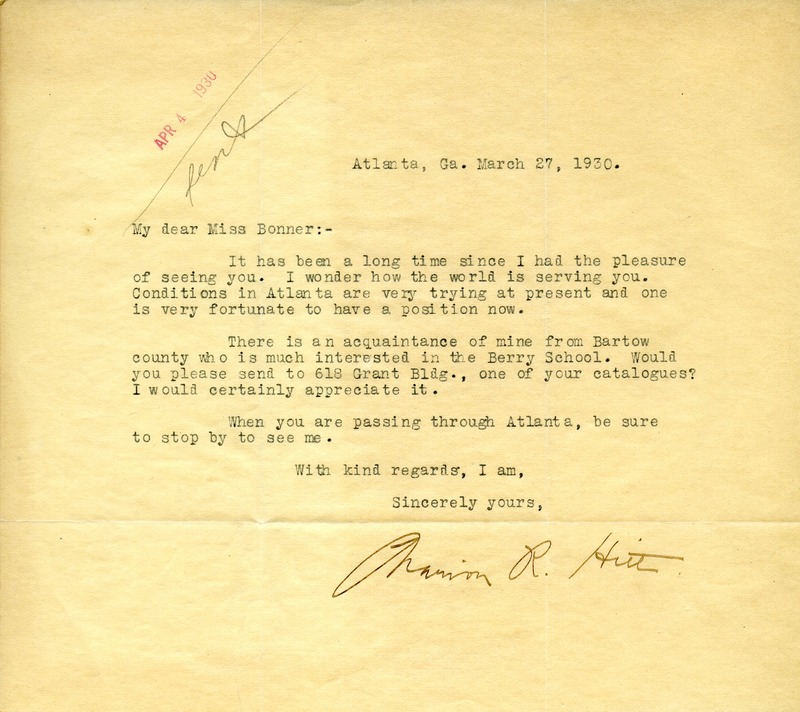 Charion R. Hilt says that we wants to know how Miss Bonner is doing, saying that conditions in Atlanta are very difficult. He asks that she sends a catalog to a friend of his in Bartow County. Charion R. Hilt, “Letter to Miss Bonner from Charion R. Hilt.” Martha Berry Digital Archive. Eds. Schlitz, Stephanie A., Allison Moore, et al. Mount Berry: Berry College, 2013. accessed April 21, 2019, https://mbda.berry.edu/items/show/13271.